MMSD, City of Madison and United Way Launch HERE! Every Student, Every Day! The Madison Metropolitan School District (MMSD), City of Madison and United Way of Dane County are teaming up to increase overall attendance for all students in Madison. HERE! Every Student, Every Day is a community awareness campaign to educate parents, guardians, caregivers, community members and students on the importance of regular attendance and how chronic absences can affect long-term academic success and ultimately a student’s ability to graduate. The HERE! 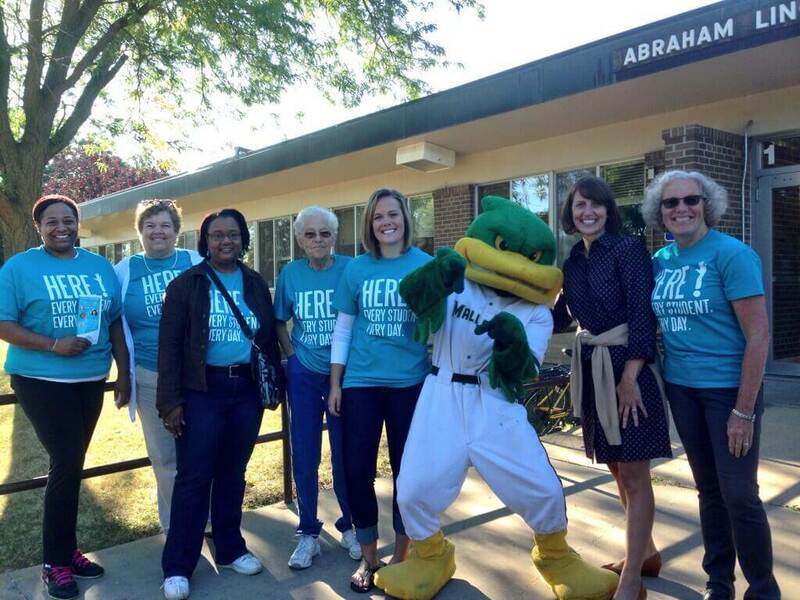 campaign will kick-off September 3rd with MMSD staff and volunteers from the Madison Mallards, UW- Madison Athletics and community and business volunteers welcoming families and students to their first day of school. Volunteers will be at every school in the Madison District. In addition, at Madison’s City Council meeting, later that evening, Council Member will be showing their support of this work by wearing HERE! t-shirts and taking roll at the beginning of their meeting, to reinforce the idea that attending school every day is important. The HERE! awareness campaign strategies, which will be implemented throughout the entire year, were formulated by a group of community volunteers, stakeholders and thought leaders throughout Dane County. Lead by Sal Carranza and Enis Ragland, they have been meeting over the last six months to understand the issue of attendance in our community and how to help raise graduation rates in Madison.